You are living on rent in Palmers Green and soon need to vacate the property? You are certainly aware of the fact that your landlord will require the same standard of cleanliness stated in the move-in report. If you are not sure that you can clean sufficiently the leased unit, better don’t put your deposit at risk and make use of our highly qualified cleaning personnel. 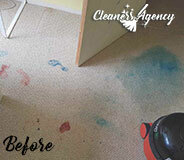 We have vast experience as an end of tenancy cleaning provider. Our mission is to provide you with an effective cleaning solution that ensures a hassle-free moving out. You probably have a bunch of things to arrange anyway, so do yourself a favour and leave the cleaning duties to us. 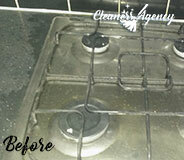 We have cleaned already hundreds of properties and know that for landlords every detail is important. During our practice, we have managed to form a team of dedicated and hard-working individuals. All of them participate in extensive indoor training programs and learn how to deal with the persistent dirt deposits. Further, we regularly explore the market for new cleaning materials. For your convenience, our teams are supplied with up to date cleaning equipment. No matter where in Palmers Greenis your property situated, rest assured that our cleaners will be there at the appointed time. We understand that moving out is linked with deadlines. When you work with us you enjoy reasonable rates without compromising quality. Our main objective is to deliver you a service that fits your preferences. During the cleaning session, our representatives will vacuum the upholstery and the carpets, wash the hard floors, clean and polish all kitchen surfaces, cabinets and cupboards, degrease the kitchen appliances, clean entirely all other rooms, wash the windows, wipe skirting boards, doors, sanitise the bathroom, remove mould, scrub the tiles, etc. Our cleaning package is comprehensive enough to ensure the scrupulous cleanliness your landlord expects to see but if you have any additional request, feel free to share them with us. We understand how important it is for you to keep your deposit. Let’s work together and surprise your landlord with exceptional standards of cleanliness. Contact us and we will tell you also about 48-hour guarantee. Our friendly call centre agents are always available to take your call. You can book appointments with us in the entire N13 7 days per week. We offer a wide selection of free weekend slots. Your housekeepers did an end of tenancy cleaning for me yesterday. They were punctual, courteous, and professional. They did a fantastic job cleaning the place. I could even recognize it! I am sure my landlady will appreciate your hard work, too. Wish you all the best. No matter how messy or dirty your office or home looks, Cleaners Agency London can always provide the right kind of cleaning service for you. Forget about exhausting yourself and leave all the dirty work to our professional cleaners who are the best experts in entire London. We area always ready to provide our help and give you the best results that you are expecting. The cleaning equipment and products which we use are always with a very high quality and they can tackle even the toughest stains and clean them in no time. We are well-experienced in this field and we know how to provide the excellence you are looking for. Don’t hesitate to contact us anytime you want, as we provide our professional help throughout the entire week, including the weekends. 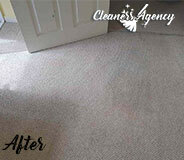 We hope that you will give us a chance to prove you that we are the best cleaning company in London. 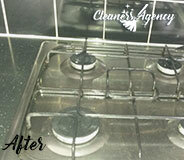 We are an end of tenancy cleaning service operating all over Palmers Green. We have a long-time cleaning experience in the field and we can definitely make your property undergo a thorough cleaning process that will result in the full return of your deposit. Cleaning is what we do best and you need not worry about us cutting corners or supplying you with dissatisfying end results. All of our cleaning technicians are real professionals who will carefully examine the property and then apply the appropriate type of cleaning. Your landlord or proprietor will be thrilled to see the explicit clean look of the rental property.